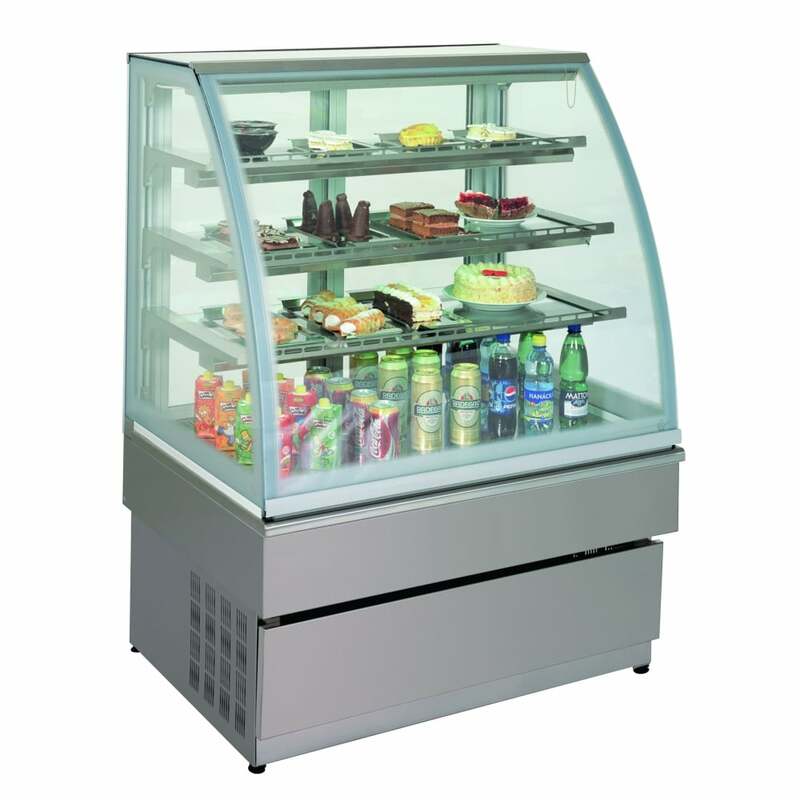 Glass Patisserie Refrigerated Display Counter is a stainless steel finished refrigerated display counter featuring a tempered curved glass front for excellent air circulation. Furthermore, the unit features back sliding doors for easy access to your products when it is needed. Full view glass panel design allows for all round view of your products displaying them in an attractive designed unit with 4 levels each individually lit.